Dive into your favorite sub at this friendly beach-themed deli. Not only is the atmosphere beachy and inviting, but the sandwiches are deliciously fresh. Beach Hut Deli uses only the freshest meats and produce the states have to offer. 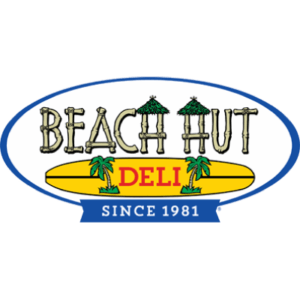 You will never leave Beach Hut Deli hungry – they pile their sandwiches high with all your favorites. Come in and lay back. It’s time for you and your taste buds to have a beach getaway.